We’re tuning in to Cam’s vlog, Cam I Am, to learn about the fruit of the Spirit. Jesus sent the Holy Spirit to strengthen, encourage, and help us. When we listen to the Holy Spirit, we start developing a specific set of character qualities the Bible calls the “Fruit of the Spirit.” The Bible calls it fruit because it shows up when we are growing in our faith. 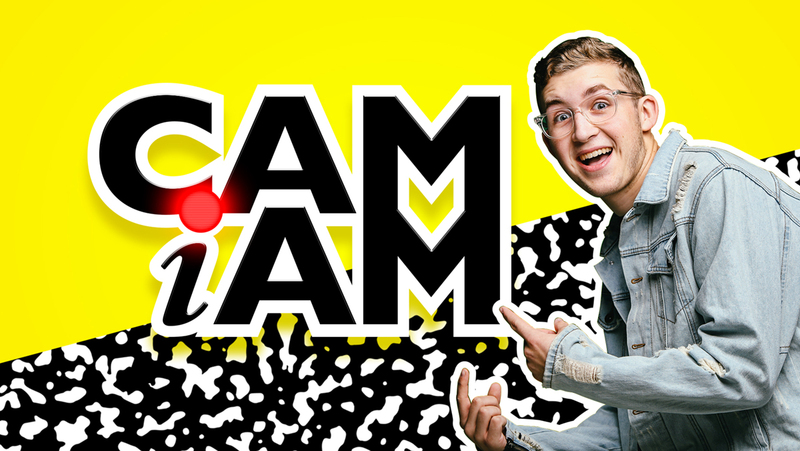 In this week’s episode of Cam I Am, Cam answered the question of the day by teaching us how the Holy Spirit helps us grow the fruit of the Spirit. During eGroup time, we took a closer look at what the Bible says about love, joy, and peace. When we allow the Holy Spirit to help us show love, joy, and peace in our daily lives, it completely changes the way we interact with others. People will see the Holy Spirit working in us and want to spend more time with us when we put them ahead of ourselves, choose to have a glad attitude no matter what, and have peace instead of worry or fear. 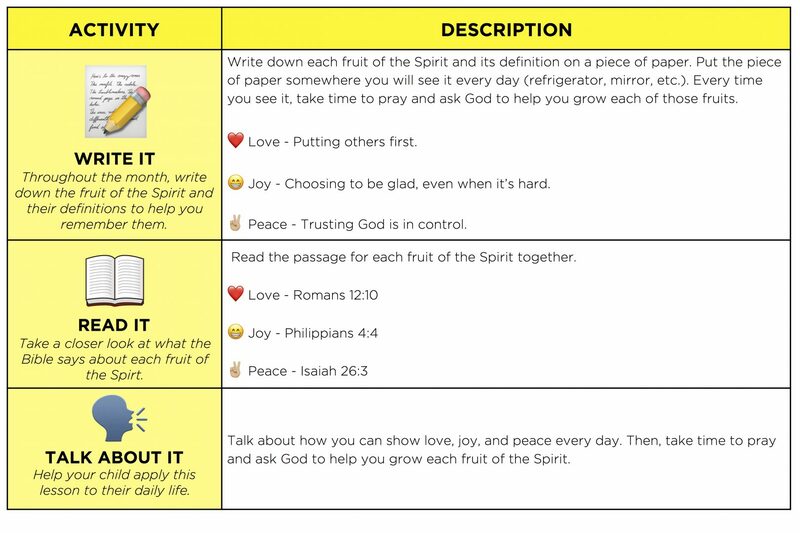 While you eat breakfast this week, choose one of the following verses to read each day and talk about how you can show each fruit of the Spirit. ❤️ Love – Putting others first. 😁 Joy – Choosing to be glad, even when it’s hard. ✌🏼 Peace – Trusting God is in control. Download this week’s ParentCue card HERE. Watch Sophie and Lemon music videos, Cam I Am episodes, and download the songs for free HERE.